NewYork-Presbyterian Hudson Valley Hospital’s existing Sleep Center did not have adequate support space for its staff to provide satisfactory patient care. Relocating from the 2nd floor to a vacant portion of the hospital’s 3rd floor allowed the staff to upgrade and expand its facility to meet and/or exceed all required features by the American Academy of Sleep Medicine’s 2016 accreditation standards. 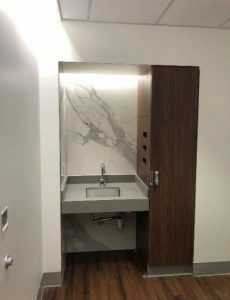 The new center features up-to-date amenities such as private walk-in showers for each testing bedroom, and new construction provides optimal acoustical privacy to guarantee uninterrupted testing results. The Sleep Center also complies with the Facility Guidelines Institute’s “2014 Guidelines for Design and Construction of Health Care Facilities” under the 3.1-3 Diagnostic and Treatment Areas. Group PMX provided on-site Project Management NewYork-Presbyterian Hudson Valley Hospital to complete this project. Working closely with the Vice President of Operations, we were responsible for the documentation of the entire project, including creating, updating and tracking the master schedule; maintaining the contract log and master budget; managing formal project bidding; and tracking the project schedule. 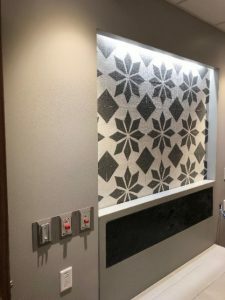 The project was completed in December 2018, on time and within budget.